Works in association with a local group of companies Mesan. During it’s working experience Mesan Construction and Investment Company has successfully undertaken a diverse array of projects ranging from hotels, housing estates, holiday villages, university buildings, apartment blocks, luxury villas, water desalination plants and estate wastewater treatment and sewage systems. Mesan Group has so far successfully completed more than 374,000 square meters of construction. Mesan Group has a dynamic and well motivated team of managerial, administrative, and technical staff where human development forms part of our company principles. We ensure that each department in this group strives to produce products and services to meet the expectations of our customers by adhering to our strong values and vision to create the best results. 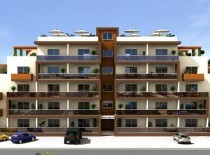 With years of experience in the construction market and selling real estate, we provide you with only the best houses, apartments and projects developers companies having good reputation in the real estate market of Northern Cyprus. We carefully inspect all documents and objects of developers before we give you any information about them. 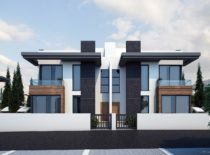 In many cases we have exclusive rights to the sale of real estate, so working with us, you get the opportunity to purchase a plot of land or ready-to-move property on favorable terms for you. We provide service of english quality in Russian, English and Turkish languages. With a multilingual team, we work with clients from around the world. 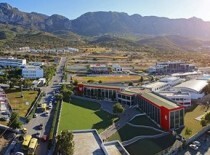 And also, in connection with the application of the basic features of the two languages of Northern Cyprus (Turkish and English), we achieve maximum efficiency in communication and resolving issues with both developers and vendors, as well as local authorities, without the need to hire additional translators, thereby maximizing the utility of our work. That’s why our web-site is created and functions in three languages: English, Turkish and Russian. We will advise you to buy only those properties that will bring you the most benefits, moral satisfaction and comfort throughout the using. You can be proud of your acquisitions with our assistance, because our main aim is to meet the demand and requirements of our customers. «Ex bona fide negotiari! (Latin) – to negotiate with honor, honesty and faith in what you do “- nothing, but these words could better describe and constitute the basis of our approach to working with our partners and customers. Regardless of the amount of the purchase, we provide luxury service to all our customers, bringing the maximum benefit and enjoyment from your purchase. We will conduct your business with us until the completion of our direct obligations, until the receipt of a certificate of title to the property or real estate. In the acquisition process, we will help you to choose the furniture and assist you with the design of your villa or apartment or book a landscape for your garden. 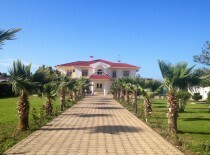 We always try to accommodate all your wishes and preferences and offer you what you have dreamed of. Our focus on the customer and individual approach – it is what we always have been valued for by our customers. • Services, accompanying all processes associated with the purchase of real estate development projects, implementing them in life, facilities management, documentation and marketing. Welcome to our office in Nicosia. We will be happy to assist you in purchasing property on this beautiful island of love, comfort and a perfect level of living.